Christiansen Heating & Sheet Metal, Inc. is celebrating our Seventy First Year as a family owned and run business in Kenosha. In 1938 the focus of our work was Architectural and is still in existence as Copper Church Steeples. Fast forward to the Third and Fourth Generations and the scope of work has changed but we are still family owned and run. 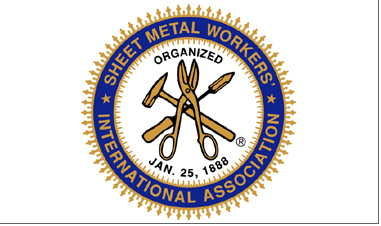 We are proud members of Sheet Metal Workers Local 18 and Sheet Metal Workers Association SMACCNA. Our Specialties include residential and commercial heating, ventilating, and air conditioning servicing, upgrading and retro-fit as well as Residential and commercial hydronic systems including in-floor radiant and indirect fired water heaters, along with architectural sheet metal construction. We have been proactive in understanding today’s low infiltration construction methods and promote and utilize all indoor air quality products that are available. We are available 24 hours a day 7 days a week for servicing heating, ventilating, and air conditioning equipment and pride ourselves on personal customer service and communication to keep projects on schedule and on budget.